PocketFullOfApps | My.com Announces Their Sci-Fi Action RPG ‘Evolution’ for iOS! My.com Announces Their Sci-Fi Action RPG ‘Evolution’ for iOS! My.com, a subsidiary of Mail.Ru Group, has finally announced their upcoming iOS title Evolution, a science fiction action role-playing game that is “coming soon” to the App Store for iPad, iPhone and iPod touch. In Evolution, players take on the role of top human operatives on a mission to explore, chart, and uncover the secrets of a mysterious planet gone quiet — the planet Utopia. Evolution is a science fiction ARPG (Action Role-Playing Game) that mixes an interesting sci-fi storyline, intense action, and RPG gameplay into a unique experience. Gamers can explore and chart one of the most expansive and action-packed worlds, while partaking in real-time battles utilizing a combat system that allows players to target and respond to enemy movements. In addition, the game features an immersive storyline and dozens of different characters to meet. Right now an exact release date is not available, but if we were to take a guess based on what we’ve seen so far, hopefully within just a couple months Evolution will land on the App Store. As of now these are all the details that are available on hand, however, should we get more later down the road, we’ll keep you updated. In the mean time, Evolution is “coming soon” to the App Store and the official website can be seen here. 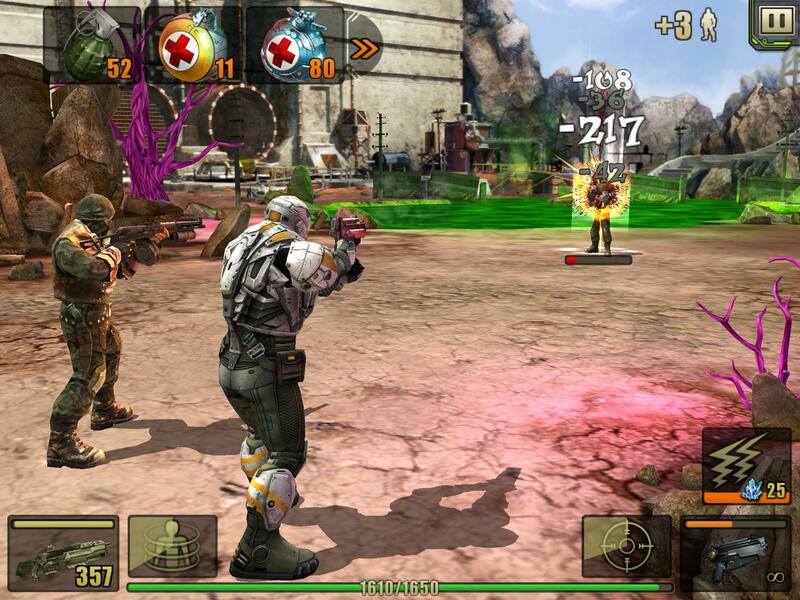 ← Crytek and DeNA Team Up to Launch ‘The Collectables’ for iOS! Entries (RSS) | Comments (RSS) | 87 queries in 0.570 seconds.